How quickly a website loads can have a major impact on how successful that site is. Studies have shown that users don’t want to wait for a slow page to load, even when it’s a site they want to visit. If it takes more than a few seconds, they’re likely to close the page and go to another. For ecommerce sites, that results in lost sales. What can companies do to prevent this? The first step in fixing slow page load times is to know that they’re happening. Some companies never consider that their pages might be taking too long to load so they don’t even realize there’s a problem. That’s why every web developer needs to make use of one of the many different website speed test apps out there. These tools will let you see how quickly your page loads, and most of them are completely free. 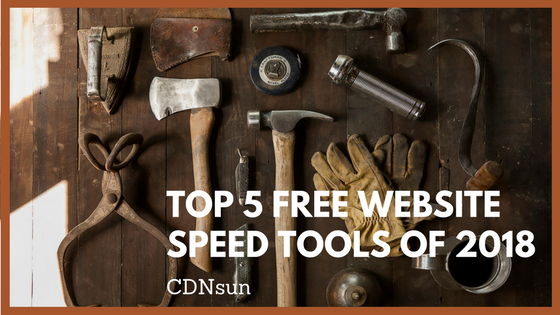 Here are five of these tools that can show you how quickly your website loads. Google has a number of different tools for web developers. Their PageSpeed Insights tool will give your website a score of 1 to 100. The higher your score is, the faster your page loads. But you don’t have to strive to get a perfect 100. Google notes that your goal should be an 85 or above. Scoring anywhere over that target number means your page is loading quickly. In addition to providing page load times for standard computer browsers, PageSpeed Insights also tells you how quickly your website loads on mobile devices. GTMetrix is another tool that will check your page load time plus your YSlow metrics. The report includes five different sections that break down what’s causing issues and will even look at page load history so you can see how changes to your website affect load times. GTMetrix grades website load speed using an A to F scale. While a B might be acceptable, you really want to go for an A here. Pingdom breaks down its report into four sections: performance grade, waterfall breakdown, history, and page analysis. You can select from one of four different locations for your speed test, too, so you can see how quickly your page loads in Sweden, Australia, California, and Texas. This site also provides you with some suggestions for optimizing your page. WebpageTest also lets you select your test location in addition to browser and type of device (iOS, Android, etc.). It’s a quick test that will show you a good amount of information that will help you determine how to optimize your website.